Oh FFS, I can’t feign even the remotest interest in TTTs. I’m more relieved I was at work rather than burning a morning providing live-twattle for that snooze fest. Honestly, conceding 25 seconds on the second day of racing is MUCH better than doing the same on the last day. 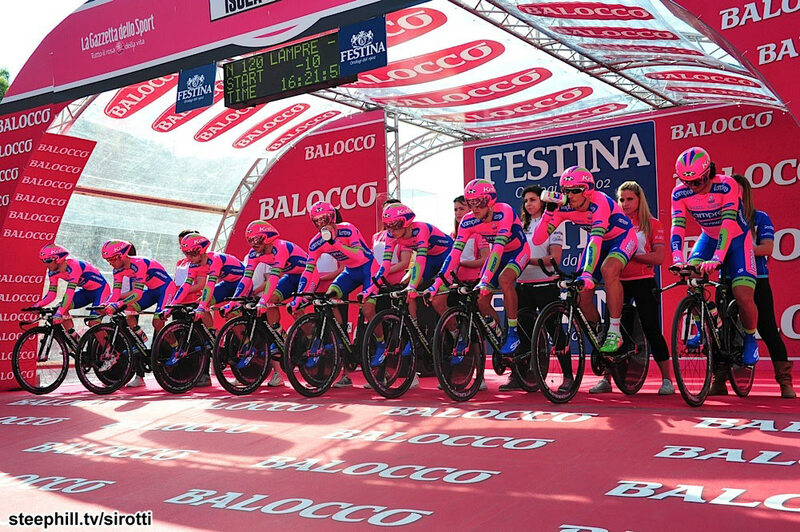 However, I will totally admit I love seeing Salvatore Puccio in the pink. I tried to keep up with Twatters and the race while I was working (feed on the computer), but as I said above, it’s a TTT, I’m at work and I need to stay awake. So, technically there wasn’t much of a meme to report on unless we include a few WTF moments. 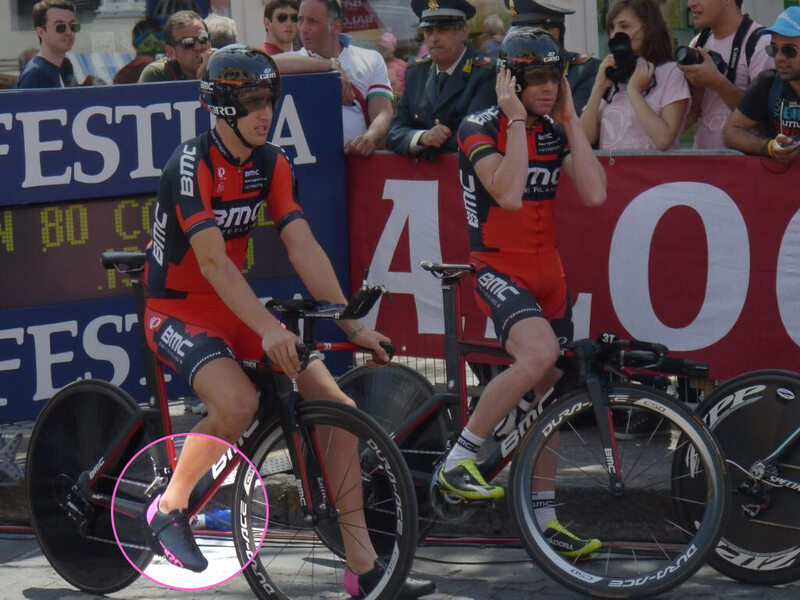 First and foremost, WTF was going on with Taylor Phinney’s lack of ankle coverage?! I’m hoping this was some sort of reckless aerodynamic experimentation and not a conscious aesthetic decision, because no. Bad Taylor. Secondly, WTF is up with the finishing times of these teams today? Sky was the only one that was normal, which of course, spawned the usual “not normal” cries from the Skyfalleutians (don’t ask). 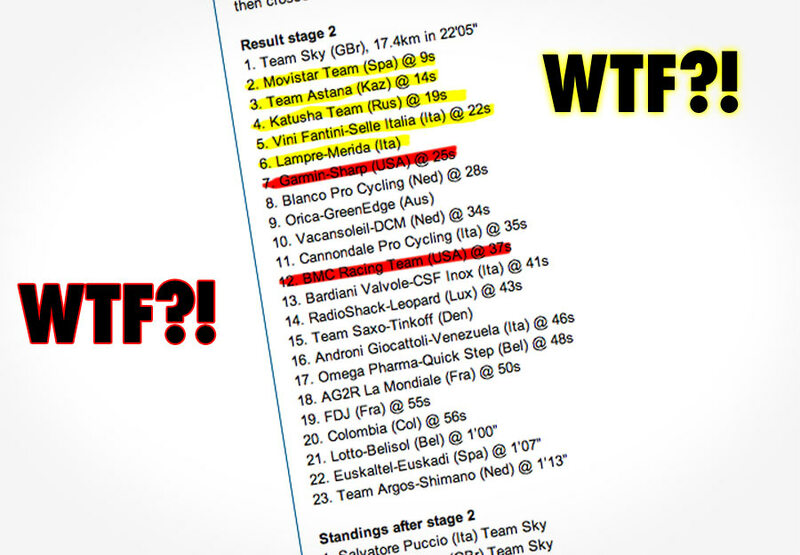 However, 2nd through 6th were filled with nothing but NOT NORMAL (Moviestar, Astana, Katusha, Vini-Fantini, and Lampre?!). I’m chalking BMC’s shite day to Taylor’s socks, but Garmin’s got no excuses. Or maybe they do, but I don’t care enough to ask.